This article is part of our special report In search of fairness on the European Digital Market. The European Union, with 500 million consumers, has huge potential as a digital market. However, the European digital services market lags behind the US and China, especially when it comes to presence on the global market. According to GP Bullhound consultancy, German e-shop Zalando and popular Swedish music service Spotify – have a total worth of $42 billion. It is 10 times less than Alibaba, the Chinese commerce giant, and 15 times less than Facebook. Hubert Romaniec of Poland’s ministry of digital affairs sees various obstacles on the road to boosting the competitiveness of European tech companies. “None of these barriers are new,” he said. “The reality is still far from dreams. The European market is divided and the existence of state borders is deeply embedded in the thinking of Europeans – and European employers. European businessmen rarely invest in other European countries – if they do, this activity is limited to their close neighbourhood, e.g. the Finns invest in Estonia and vice versa – and prefer to focus on domestic markets,” said Romaniec. He also pointed to the gradual decline of the EU’s share in the global demand, a chronic lack of IT specialists, or European inferiority in innovation and entrepreneurship. Meanwhile, Magdalena Słok-Wódkowska from DELab at the University of Warsaw raised the issue of problems generated by the physical distance between the EU member states. “Compared with a trans-border e-commerce, the domestic market is much more robust. It is especially visible in Poland, where there is still a huge problem with delivery from abroad and with multiple legal systems concerned with the intellectual property,” explained the expert. The EU has already introduced rules that eliminate geo-blocking in e-commerce, enabled trans-border transfer of some of the digital services, e.g. video or music streaming, or access to the video games platforms (cross-border portability) for subscribers. In the case of Poland, however, the problem also lies in the lack of knowledge and human capital. “We have brilliant IT specialists, but the companies do not have sufficient knowledge, which is crucial for the trans-border development of a company,” Słok-Wódkowska said. 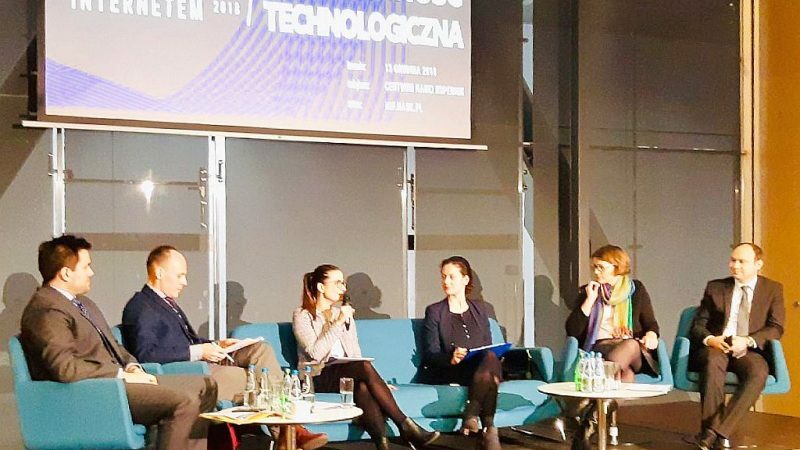 Magdalena Piech, the head of regulatory affairs at Allegro and chair of the European Tech Alliance, talked about the necessity of thoughtful shaping of e-commerce and technology law. Prospective rules concerning platform-business user relations (P2B), digital services tax, or intellectual property are often written against global companies and some market practices, but end up putting limitations on much smaller companies, which operate according to different business models. The result, she said, is an increase in the operating costs on the digital market and may create an entry barrier for smaller companies. EU law should be a standard bearer for the European companies and positively influence their development. It is important to recognize the potential not only of global companies and start-ups but also of scale-ups and provide them with equal opportunities. Secondly, it is important to ensure the enforceability of the rules. One cannot talk about equal opportunities when duties, limitations, prohibitions, or taxes are levied only on European companies, and the entities that operate on the European market only digitally, de facto remain outside their scope. “Still, there are plenty of examples of successful European companies, but we should aim higher,” said Piech. Her words were echoed by Oleg Roibu, public affairs director at eMAG, an e-commerce platform that originates from Romania but now operates also in Poland, Hungary and Bulgaria. He pointed out that there are still a lot of steps to be made to create a truly single digital market. This is because “we have 28 different systems of laws and 28 different sets of authorities. I am an optimist though, I believe in the potential of the European digital market. Still today, it is fragmented into 28 separate digital markets”. “And it is where the competitive advantage of non-EU companies comes from – they could have grown in similarly big but not fragmented markets. And their development wasn’t weakened by new regulations,” Roibu underlined. Besides the solutions supposed to facilitate access to digital services and e-commerce regardless of the location and the rules protecting users’ data, the issue of digital businesses taxation has recently been hotly debated. Filip Majdowski of Poland’s finance ministry explained that an overhaul of the direct and indirect tax rules with respect to tech companies was underway. “The things that 15-20 years ago might have seemed to be science fiction are now ‘science facts’. We are talking about digital revolution and a rapid development of digital business. We are doing our best to keep up the pace. The global tax frames are obsolete. Taxes must be paid in the country where a company makes profits. But now, it is possible to operate in different European countries, while being physically present in only one of them,” said Majdowski. 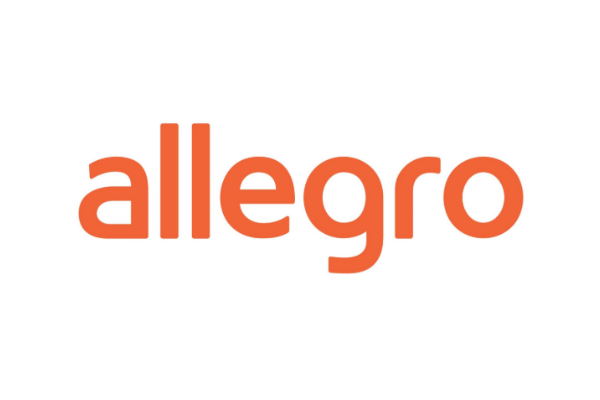 The debate was held within the framework of Internet Governance Forum (IGF) and was organised by Allegro, with the participation of the European Tech Alliance representatives. EURACTIV.pl was a media partner of the discussion.